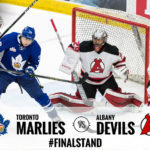 ALBANY, NY — The Albany Devils now find themselves in a must-win situation after losing to the Toronto Marlies, 5-1, during Game 5 of the North Division Final. 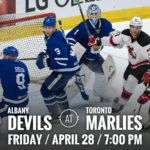 The Marlies have won back-to-back games to take a 3-2 series advantage. 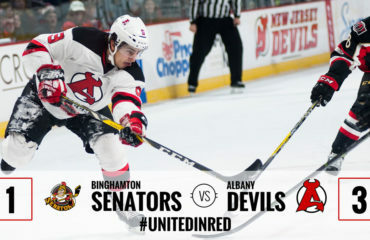 Albany, which allowed just one power-play goal during the first six playoff games, has surrendered six during the last two outings, including two Thursday at Times Union Center. Toronto’s first two tallies came with the man advantage. Connor Carrick scored from the blueline at 1:23 of the second and Connor Brown converted a one-timer in front moments later at 6:38. The Marlies took a 3-0 lead thanks to Nikita Soshnikov at 15:19. Paul Thompson got Albany on the board with a diving play in front at 17:01. 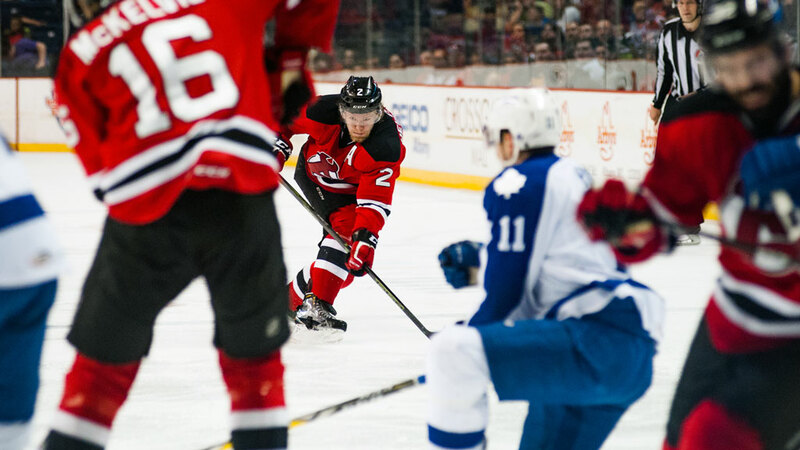 The goal was Thompson’s first of the postseason and first since Mar. 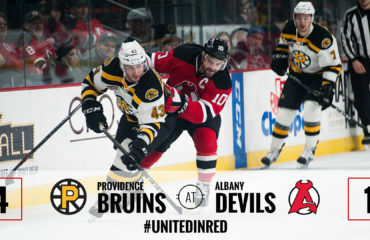 29 vs. Hartford. Toronto added two more in the third. Brendan Leipsic scored at 11:09 and Josh Leivo hit the empty net at 17:52. Netminder Scott Wedgewood made 18 stops, while Toronto’s Antoine Bibeau earned the win with 21 stops. 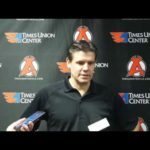 The Devils were without Mike Sislo and Dan Kelly. 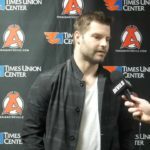 Sislo, who led the team with 26 goals during the regular season, sat out with a lower body injury. Kelly, who is the franchise’s all-time plus-minus leader at +44, was suspended for 10 games for an illegal check to the head during Game 4. 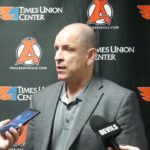 Those missing players were in addition to Jim O’Brien and Pavel Zacha, who were sidelined earlier in the series. The series heads back to Toronto for Game 6, which will be Saturday at 3 pm. 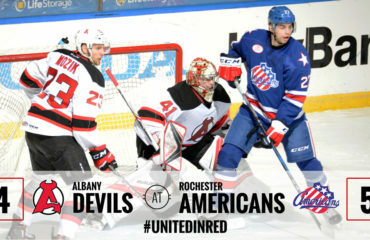 Fans can follow the action online at ahllive.com.